Septic Tank Pumping And Holding Tank Pumping in Sidney, Saanich and Victoria, BC. 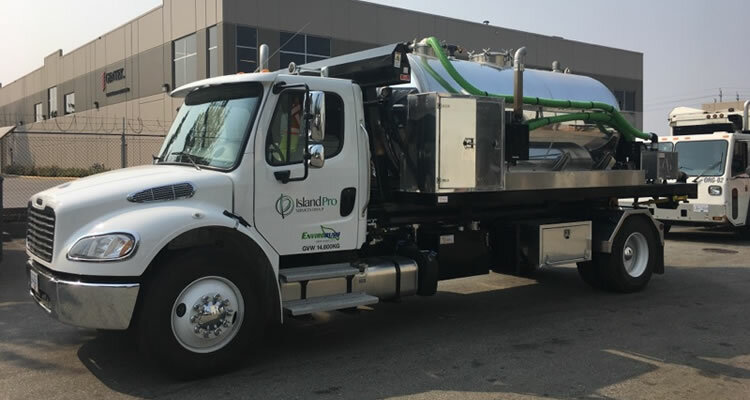 Island Pro Septic is a locally owned and operated septic tank pumping and vacuum truck services company based out of North Saanich. 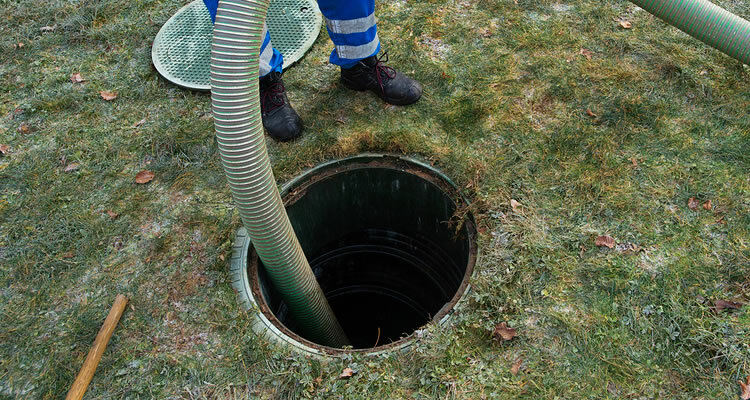 We specialize in pumping out septic tanks, holding tanks, liquid sewage/sewer waste, ponds and any non-hazardous liquids. 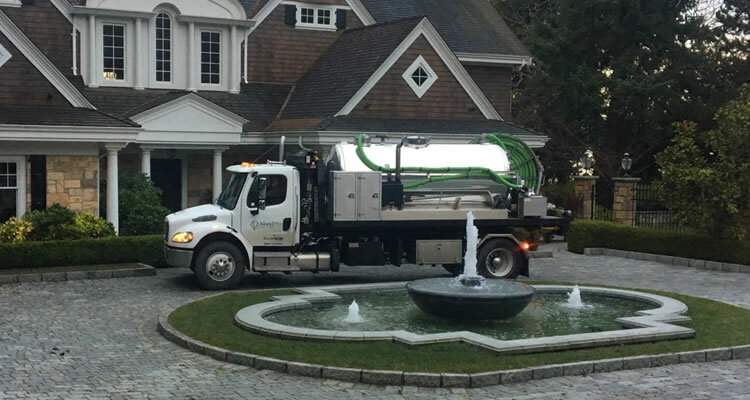 We offer fast, reliable and fairly priced septic pumping and vacuum truck services throughout the Saanich Peninsula and Greater Victoria area. Tap To Call Island Pro Septic Right Now! Does your septic tank need to be pumped out? Do you even remember the last time you had the tank pumped out? When septic systems begin to malfunction the untreated or partially treated wastewater can surface over the dispersal field or even back-up into your home. Lack of maintenance, such as regular septic tank pump-outs, is the leading cause of septic system failure within the CRD. How Large Of Tank Can You Pump? We have a 1500 gallon vacuum tank on our truck so we can pump septic tanks and holding tanks of that size or smaller. 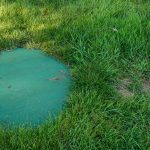 How Often Should My Septic Tank Get Pumped? This is a good question we are often asked. If you live within the CRD (Capital Regional District) you must have your septic tank pumped at least once every 5 years. This is mandated through Septic Maintenance Bylaw 3479. If you have a large home, with a large family your septic tank might need to be pumped every 3-4 years. It's a good idea to pump any septic tank on property that is involved in a real estate transaction. 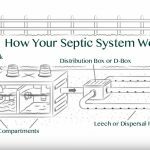 There are more than just one type of septic system located within our service area. There are type 1 systems, type 2 systems and type 3 systems. The bylaw requires owners with Type 1 systems to have their septic tank pumped out at least once every five years. Five years is intended to be a maximum time frame. Some systems need more frequent pumping depending on the size of the tank and the conditions in the home. The septage receiving facility will notify the CRD of your pump out, however owners are advised to keep their receipts as proof of service. Owners of Type 2 or Type 3 systems (often package treatment plants) are required to maintain their system according to the maintenance plan for the system, and ensure it is maintained by an Authorized Person at least once per calendar year. Owners should ensure their Authorized Person completes a Certification of Maintenance and sends it in to the CRD. Owners should keep a copy of this form, however, as proof of service. How Do I Know If My Tank Needs To Be Pumped? Good Question! It's generally every 3-5 years for the average family of four. If you have a suite on your property, lots of bathrooms or a much larger family, it can increase the frequency of your pump-outs. Will You Be Able To Reach My Septic Tank? 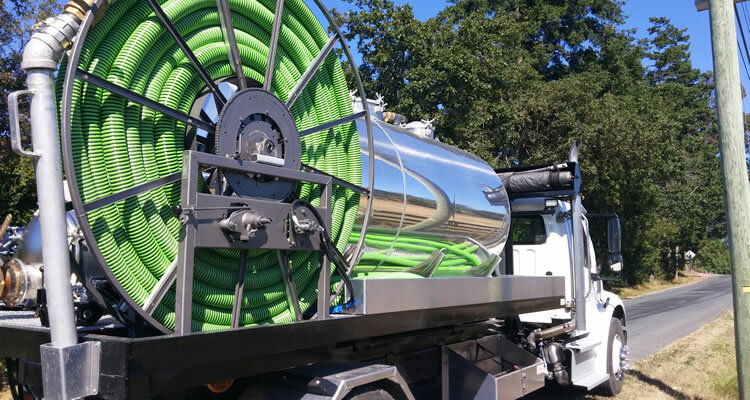 Our trucks are equipped with 100' hose reels for the vacuum hose. If we can get our truck to within 100' of your septic tanks we can pump them out. If you think the distance will be further than 100', please let us know and our driver can come with hose extensions. 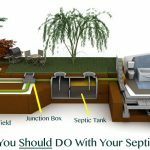 Do You Offer Septic Tank Inspections? Not at this time. We are only a septic tank pumping company. We do not inspect systems, complete repairs or provide written reports on your septic system condition. We DO submit your septic pump-out details to the CRD as required if you are in the Capital Regional District. 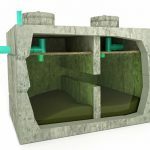 A holding tank is different from a septic system because it only contains your wastewater "holding tank" instead of actually breaking it down and dispersing the effluent like a septic system with a leeching field does. Once your holding tank is full, it must be emptied without delay. Most modern holding tank are equipped with two alarms to prevent over-filling—one visual alarm, and one audible. It's a good idea to do periodic visual inspections of your holding tank to see when it's time for a pump-out. Do you have a marine holding tank, a trailer or RV holding tank or other non-hazarous liquid holding tank that you need to have pumped out? 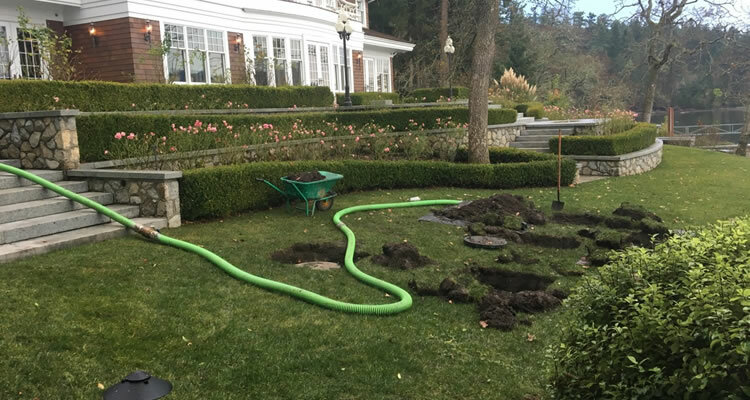 Island Pro Septic provides services throughout the CRD (capital regional district) including the Saanich Peninsula and Greater Victoria area. The specific areas we service include: Sidney, North Saanich, Brentwood Bay, Saanichton, Central Saanich, Cordova Bay, Saanich, View Royal, Oak Bay, Victoria, Esquimalt and Colwood.